OLED B click carries a 96 x 39px blue monochrome passive matrix OLED display. The display is bright, has a wide viewing angle and low power consumption. 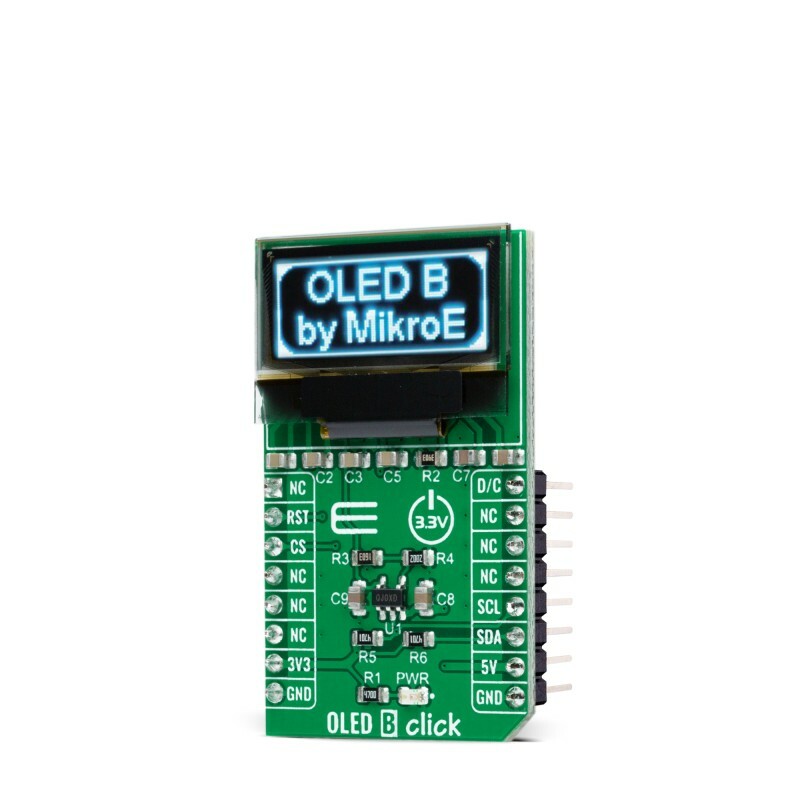 OLED B click carries a 96 x 39px blue monochrome passive matrix OLED display. The display is bright, has a wide viewing angle and low power consumption. To drive the display, OLED B click features an SSD1306 controller. It's built-in functionalities include contrast control, normal or inverse image display, vertical and horizontal scrolling functions and more. 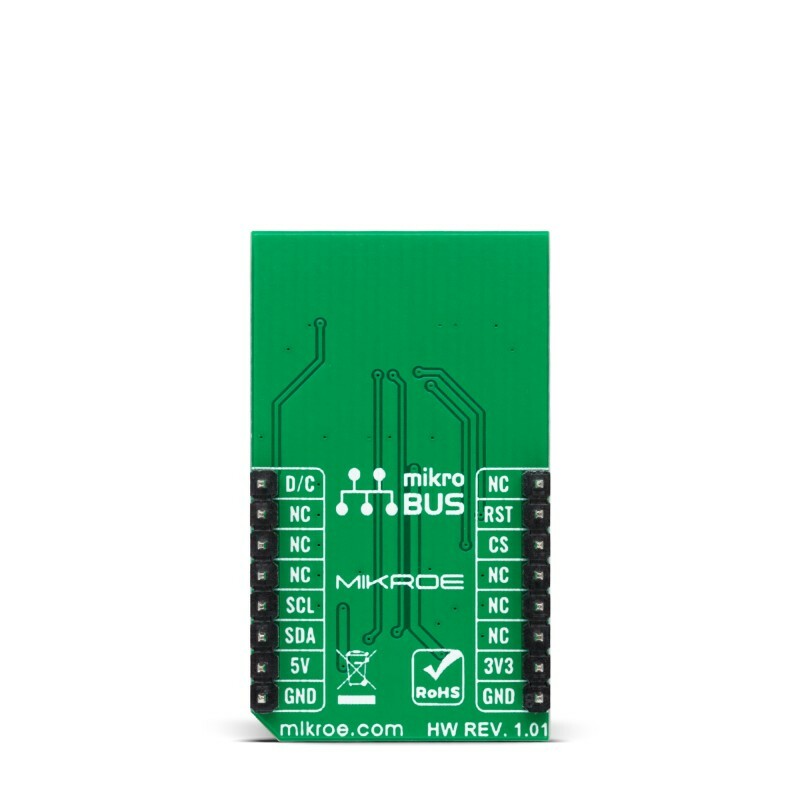 OLED B click can communicate with the target board MCU either through SPI or I2C mikroBUS lines. 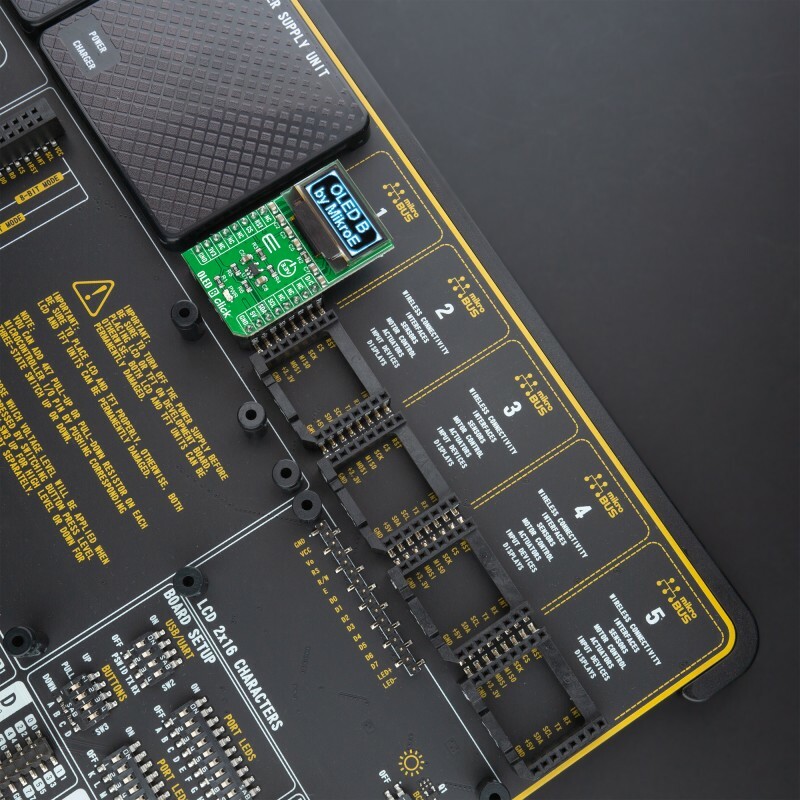 You switch between output options by resoldering the onboard SEL COMM jumpers (J1, J2 and J3) to the appropriate position. 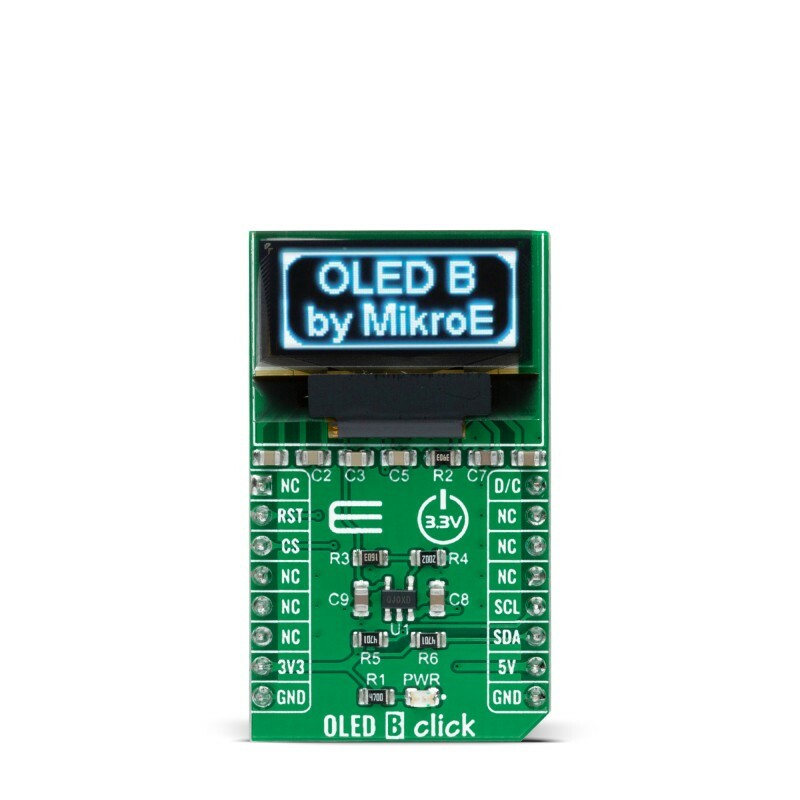 OLED B click uses a 3.3V power supply. Key Benefits Onboard controller enables scrolling, contrast control etc.